EarHustle411 Health Alert: Parasite In Cat Poop Linked To Schizopnrenia And Other Mental Disorders...Oh Poopie!!! EarHustle411 Health Alert: Parasite In Cat Poop Linked To Schizopnrenia And Other Mental Disorders…Oh Poopie!!! 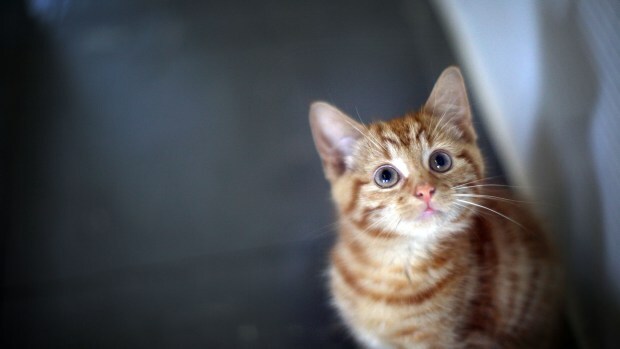 WASHINGTON (CBS DC) — Coming into close contact with cats can spread a parasite called Toxoplasma gondii (T. gondii) – also dubbed the “cat poop parasite” – which are linked to schizophrenia and other mental disorders that affect humans. The cat-carried parasite is the most common in developed countries and can infect any warm-blooded species, according to the Schizophrenia Bulletin. Although most humans don’t suffer any symptoms from the widespread parasite, it can cause the illness T. gondii, which is linked to weeks of flu-like symptoms, blindness and even death, CBS News reports. Two new studies have now linked the T. gondii parasite to increased rates of mental illness in cat owners who may have had increased exposure to parasitic infection. “Cat ownership in childhood has now been reported in three studies to be significantly more common in families in which the child is later diagnosed with schizophrenia or another serious mental illness,” write study authors E. Fuller Torrey of the Stanley Medical Research Institute and Dr. Robert H. Yolken of Johns Hopkins University School of Medicine. The researchers compared two previous studies that linked childhood cat ownership and the development of schizophrenia later in life from a 1982 mental health survey. A second study by A.L. Sutterland from the Department of Psychiatry at the Academic Medical Centre in Amsterdam reviewed 50 published studies to a T. gondii infection being tied to mental disorders. The Centers for Disease Control and Prevention reports that more than 60 million people are chronically infected with toxoplasma gondii. Close contact with cats, undercooked meat and some unwashed fruits and vegetables are most commonly linked to the parasite. 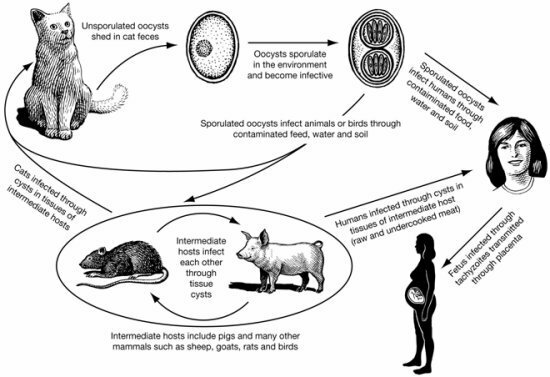 Toxoplasma places pregnant women at risk for birth defects and symptoms of the parasitic infection include swollen lymph nodes, muscle aches and irritation of the eye. Humane Society data shows there are between 75 to 80 million pet cats and another 30 to 40 million stray or feral cats roaming the U.S. Outdoor cats are at an increased exposure to the T. gondii parasite, which is often found in cats’ infected eggs and feces. Individuals infected with the parasite are almost twice as likely to develop schizophrenia. Links were also made with addiction and obsessive-compulsive disorder. But cat lovers have options for protecting their cat and themselves from the T. gondii parasite. “Children can be protected by keeping their cat exclusively indoors and always covering the sandbox when not in use,” Torrey told CBS News via email. The CDC recommends changing the cat’s litter box daily. T. gondii does not become infectious until 1 to 5 days in feces and its recommended cats aren’t fed raw or undercooked meat.